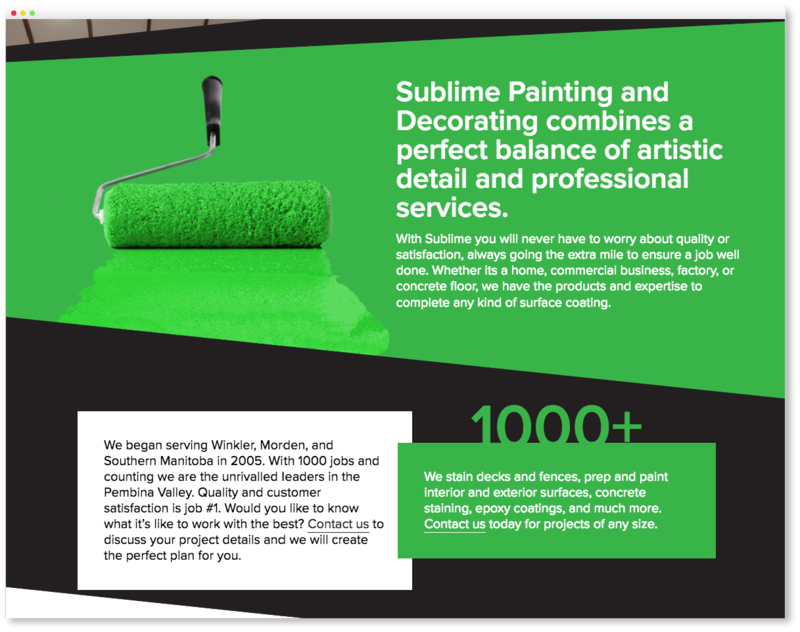 Sublime Painting and Decorating has been serving the Pembina Valley for over a decade. They have completed well over 1000 jobs in residential, commercial, and industrial settings. More than just painting, they provide industrial surface coatings including protective steel coating, concrete epoxy, and more. They continually research the best value products for their customers, and work on tackling new services. 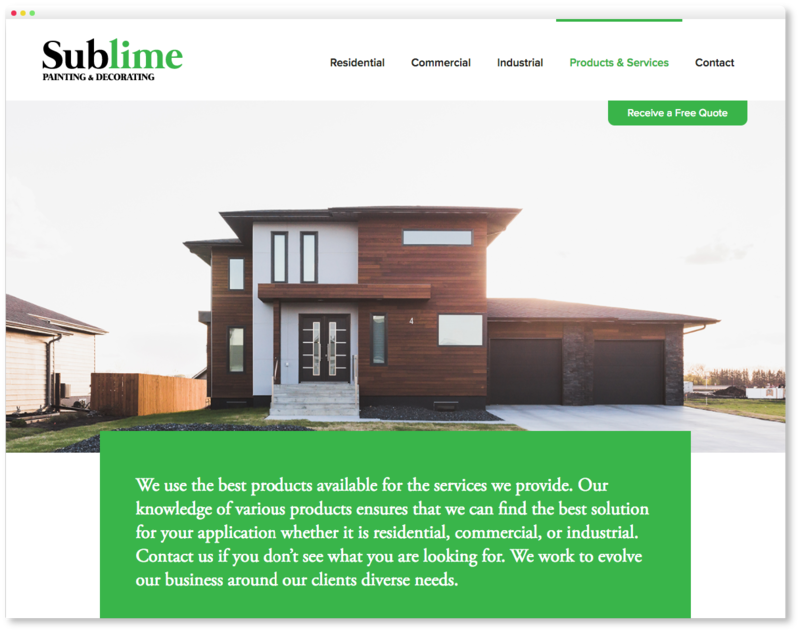 As more competition enters the market, we have determined that a website would be a great way to showcase their work and position them as the premier service provider in the region. With years of experience and a large volume of job completions, position the brand is relatively easy. They are the experts, and we just needed to give their expertise a platform. Adding a simple and intuitive quote form on the website enables potential customers in any of their fields a simple and effective way to get the information they are looking for without the pressure that some people feel in face to face meetings. With business card design, we played off of a design that is easily recognizable locally for the front of the card. The design around the logo matches their company vehicle, which is impossible to miss coming down the street. For the back of the card, it’s pretty clear what our inspiration was. It remains consistent with the brand, and is easily recognizable. 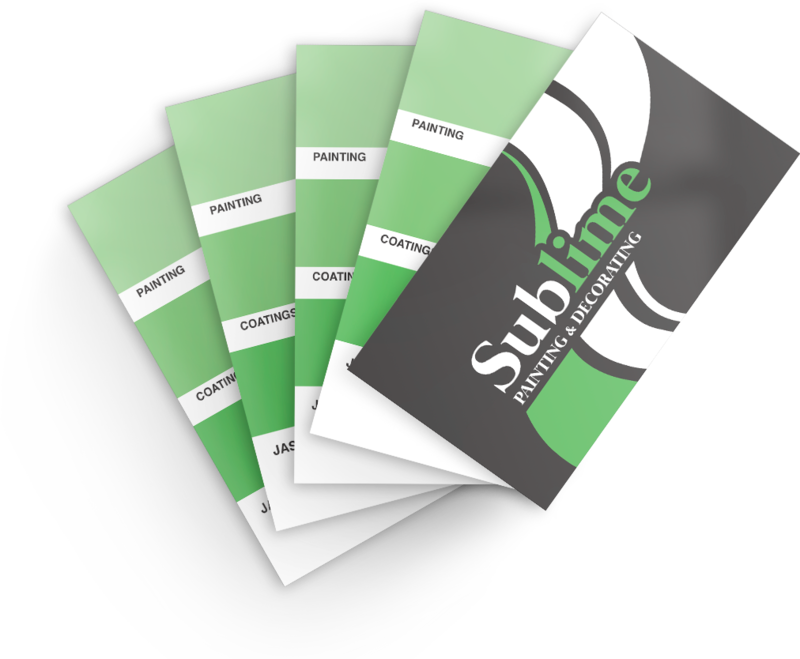 As the number one service provider in the industry within this region, Sublime Painting and Decorating is now armed, better than ever, with the tools they need to promote their business. 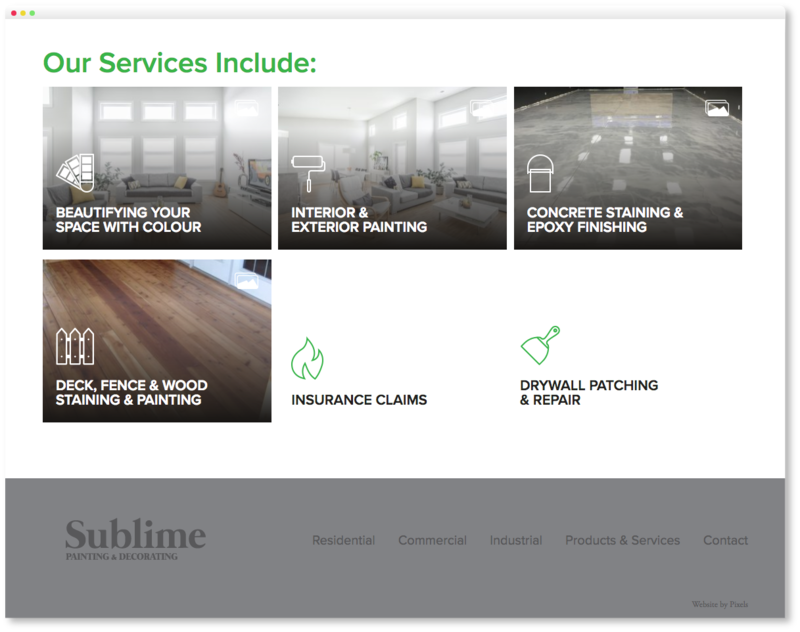 As market leaders with an amazing track record of customer service and quality workmanship, Sublime has a very bright future.